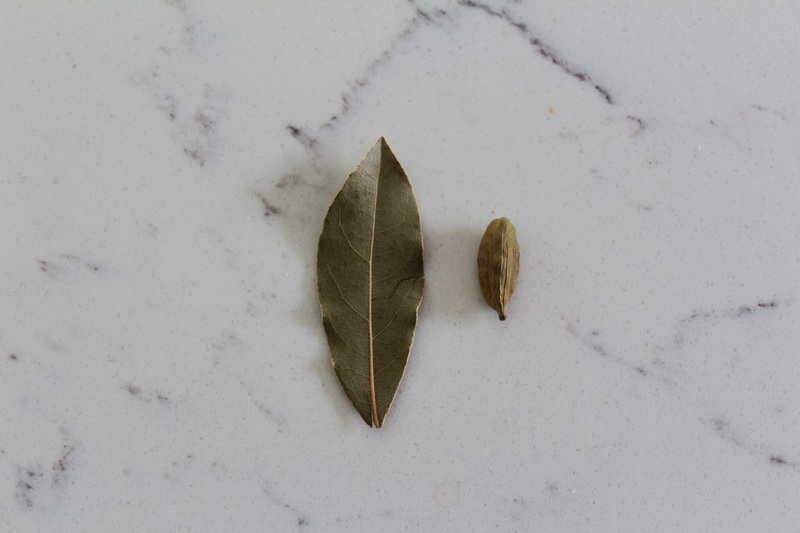 "the leaves of Corchorus species (Jute leaves) used as a vegetable. It is a popular Middle Eastern and North African countries [sic]. 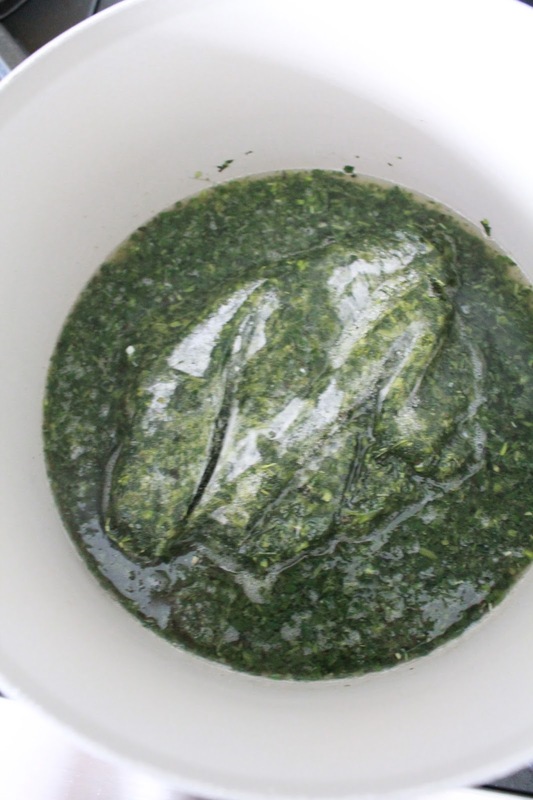 Mulukhiyyah is rather bitter, and when boiled, the resulting liquid is a thick, highly mucilaginous broth; it is often described as "slimy," rather like cooked okra. 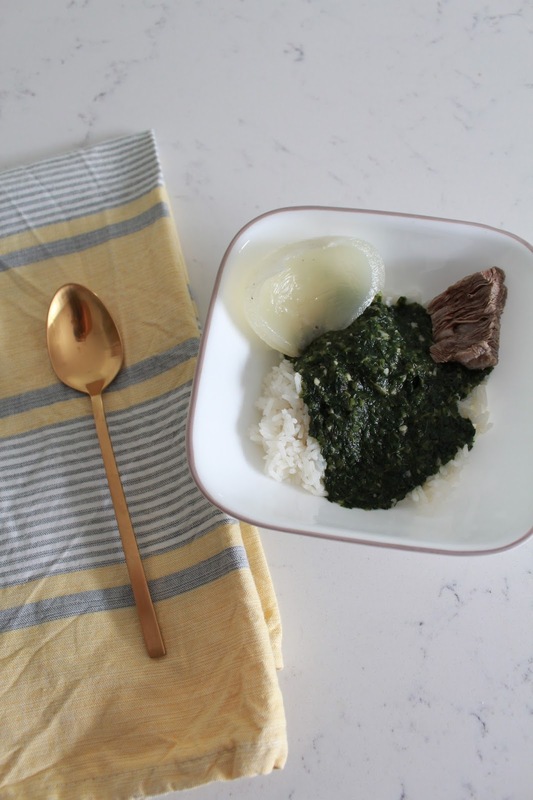 Mulukhiyyah is generally eaten cooked, not raw, and is most frequently turned into a kind of soup or stew, typically bearing the same name as the vegetable in the local language." So, this isn't the most appetizing description, but I assure you, it is delicious, especially if you're a garlic lover like me. Note: this recipe can be made with either beef or chicken. I opted for beef since it's George's preference. Rinse the beef and place it in a pot of water. 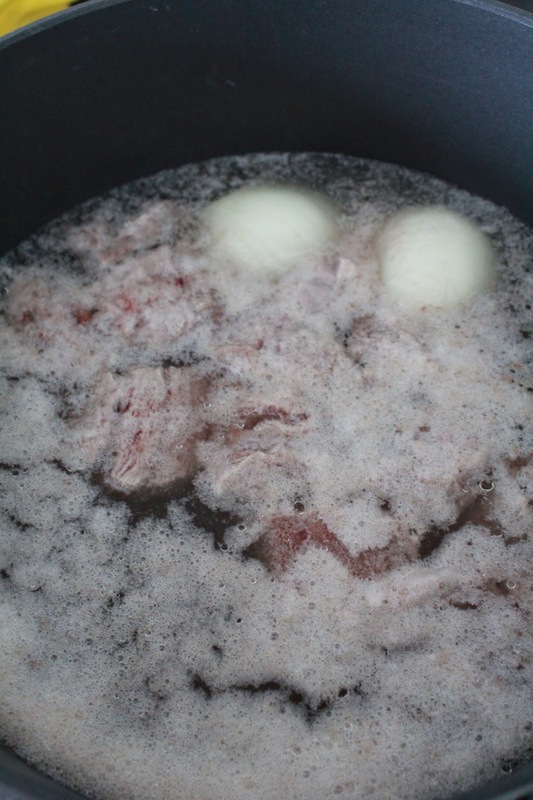 Make sure there is enough water to completely submerge the beef, approximately 3-4 inches. This is to make the broth. Place the onion in the pot with the beef. Heat on medium heat until the water comes to a boil. 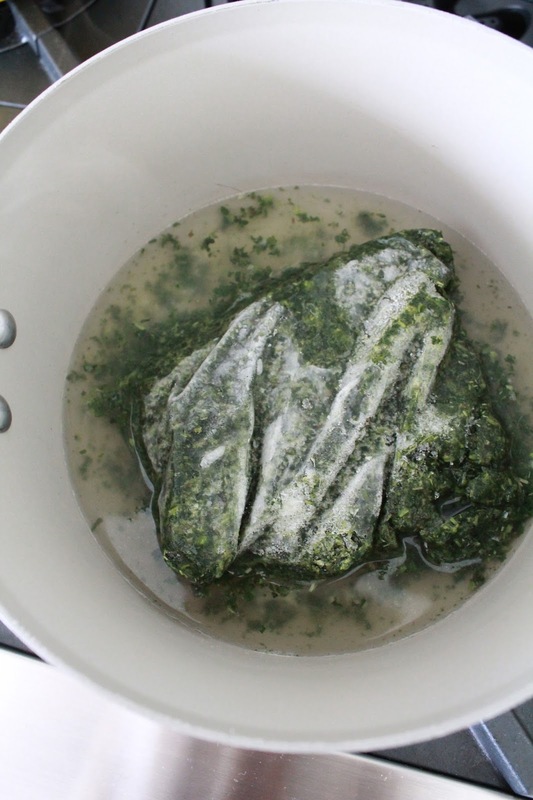 You will need to skim the broth of the beef's "impurities" for approximately one hour, until the water is almost clear. Approximately 45 minutes into the boil, season the broth with salt, pepper, the bay leaf and the cardamom seed. If the beef tastes chewy, continue to boil it. 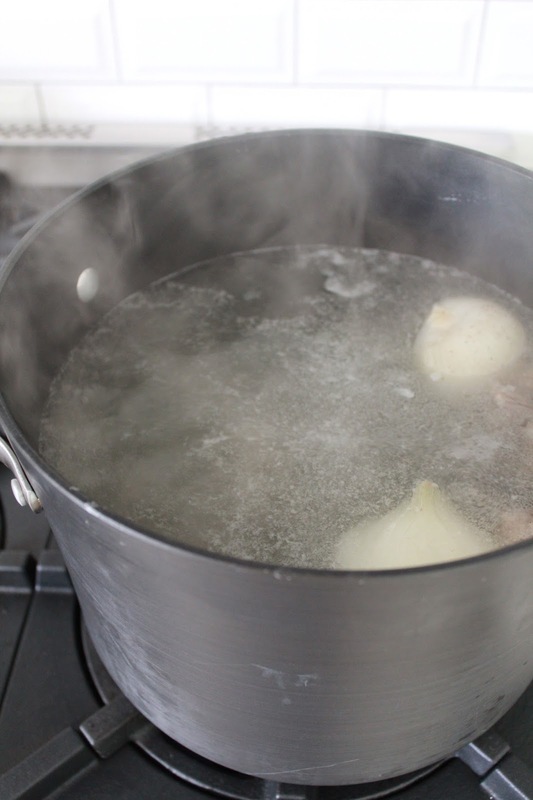 If the water decreases to the point that the beef is no longer submerged, boil some water in a teapot and add it into the pot. Once the beef is cooked, set aside. In a small saucepan, boil 1 1/2 cups of your broth and 1/2 teaspoon of minced garlic on low heat for approximately one minute. 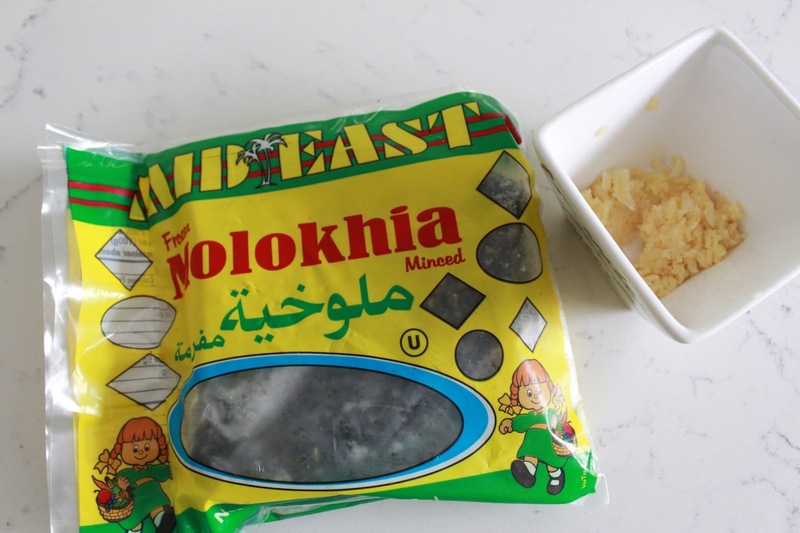 Once the broth boils, place your frozen bag of molokhia in the saucepan and put the heat on very low to allow the molokhia to defrost. Do not let it boil! Once the molokhia defrosts, mix it with a spatula and see how thick it is. The consistency shouldn't be too thick, nor should it be watery. If you need to lessen the thickness, add more broth, approximately a quarter cup at a time. Once the consistency is right, set the molokhia aside. In a small skillet, melt the purified butter on medium heat. Then sauté the rest of your garlic until it's a golden color. Add the garlic to the molokhia and mix. 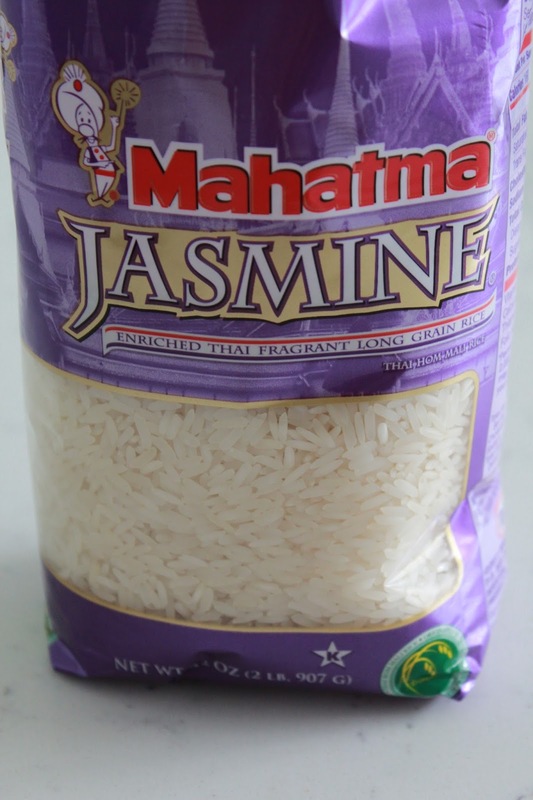 Boil 1 1/2 cups of Jasmine rice in 2 1/2 cups of broth on medium heat. 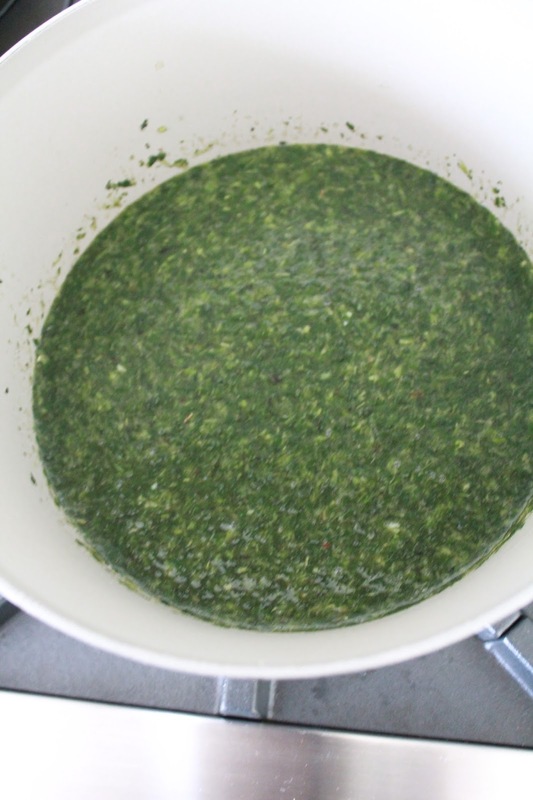 Once the broth absorbs, let simmer on low heat for 20 minutes, without uncovering. That's it! 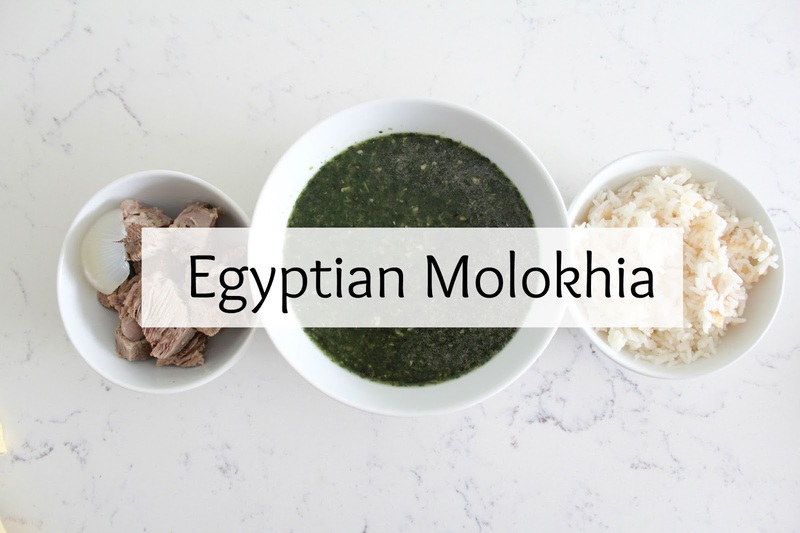 Now mix some molokhia, rice and beef in a small bowl and enjoy! (I also like to add some of the onion). I love this post. So, you don't sear the meat in butter after you boil it? My mom's family grew up not, but my dad's family did, and I do now. My mom does it sometimes, but I tried to make it somewhat "healthy"